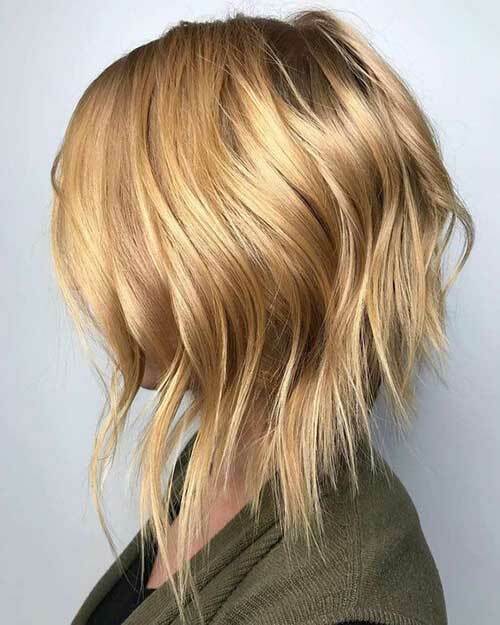 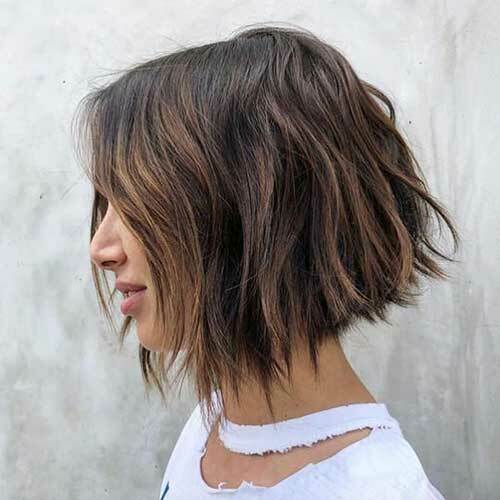 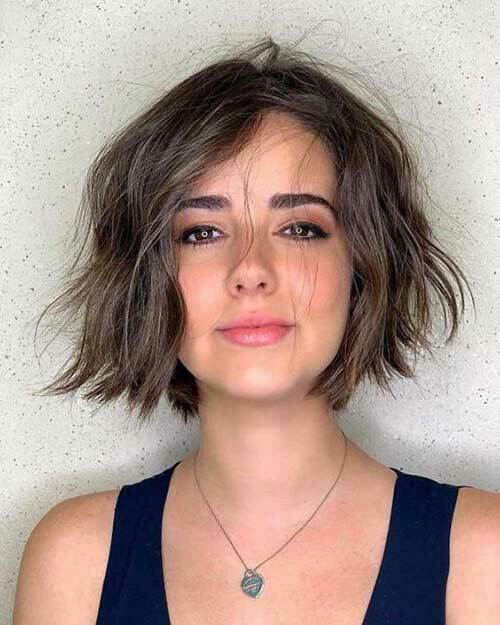 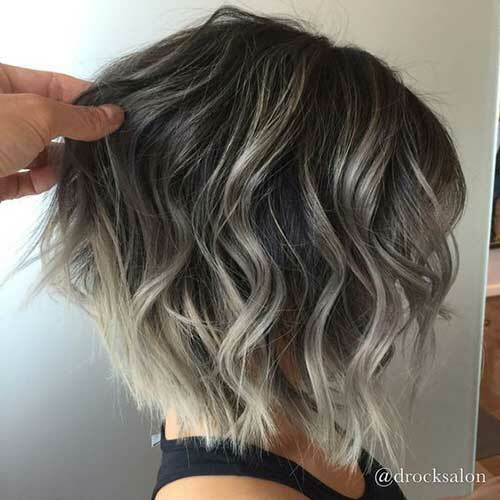 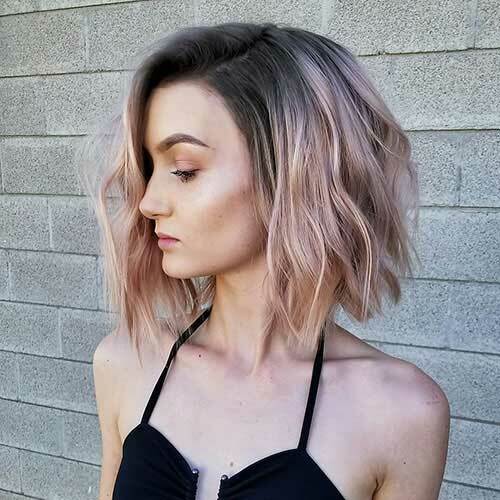 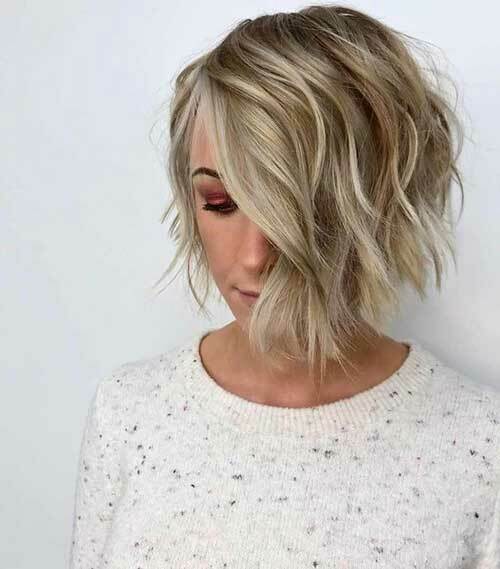 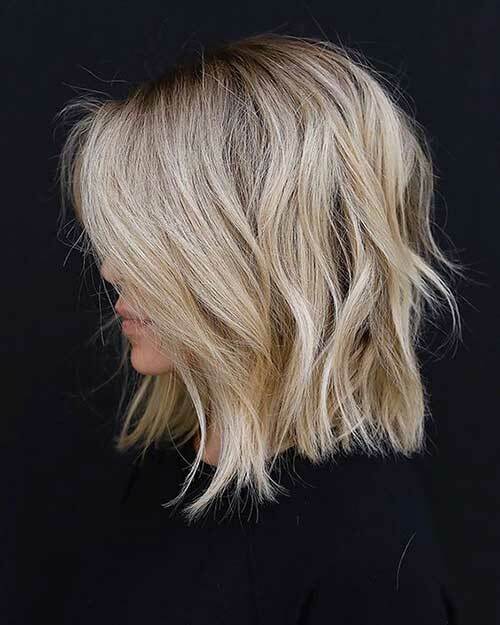 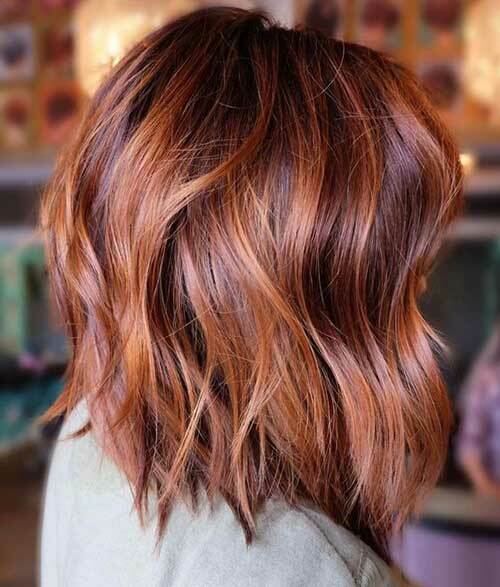 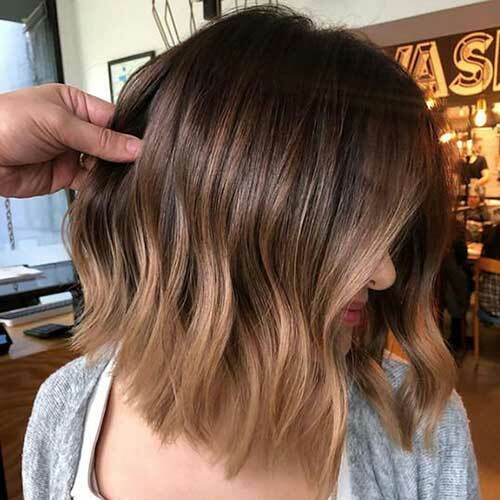 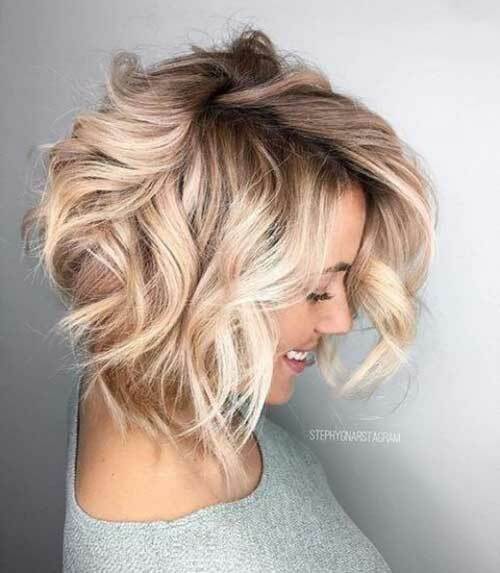 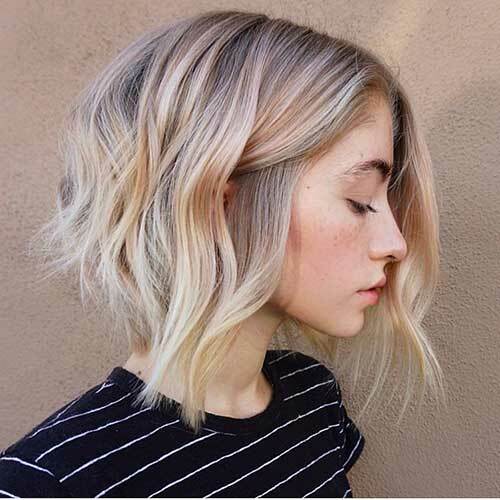 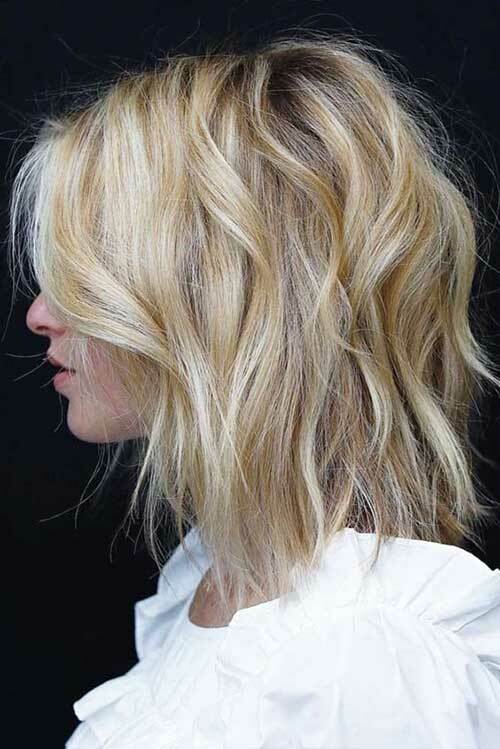 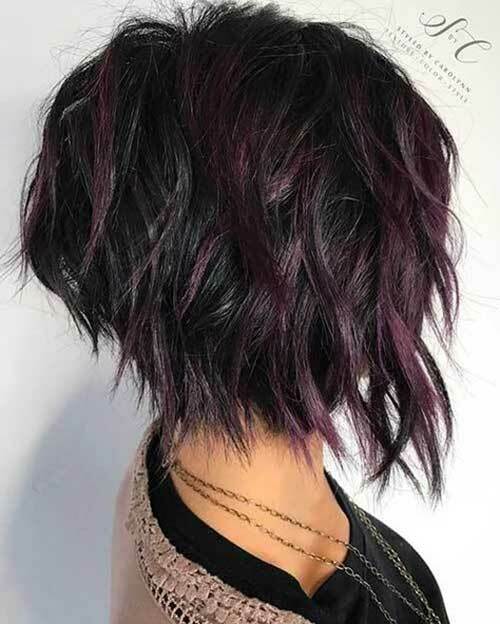 Inverted bob with soft waves, looks amazing on blonde hairstyle. 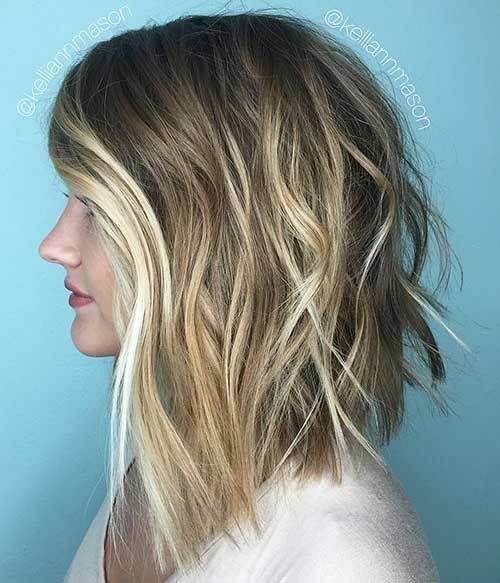 Also ashy brown roots looks really natural. 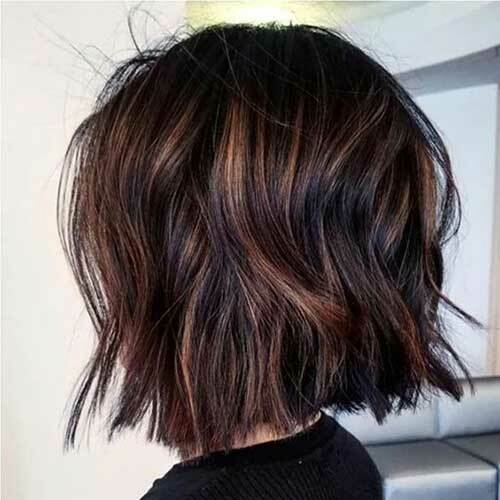 Bangs haircuts can be a bit risky. 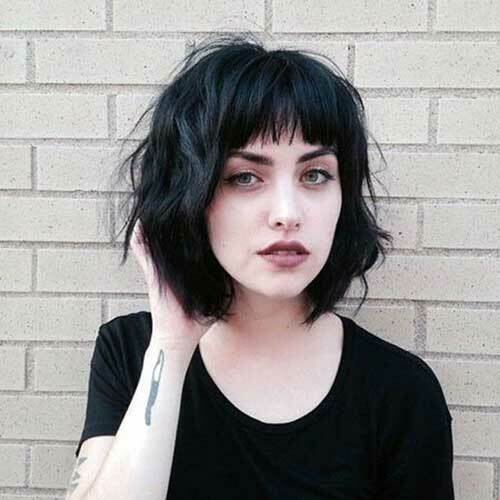 Particularly such short bangs are a complete courage! 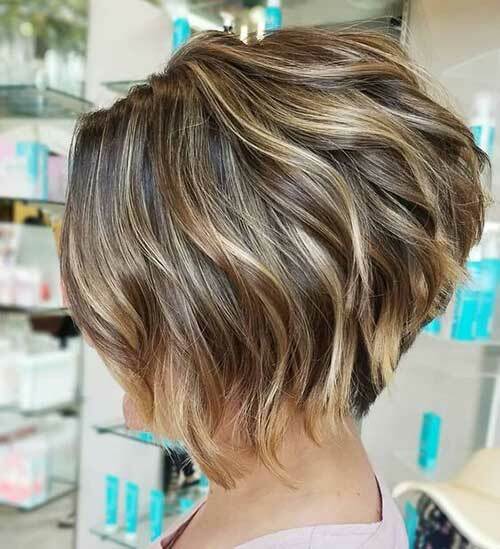 If you have a cute and pretty face shape, this haircut maybe great for you. 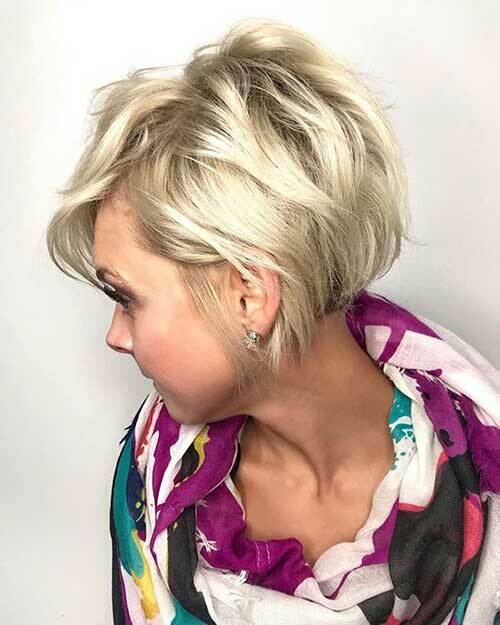 Also here’s a tip: If you don’t like your bangs or your new haircut, you can use simple headbangs and scarves for a new look. 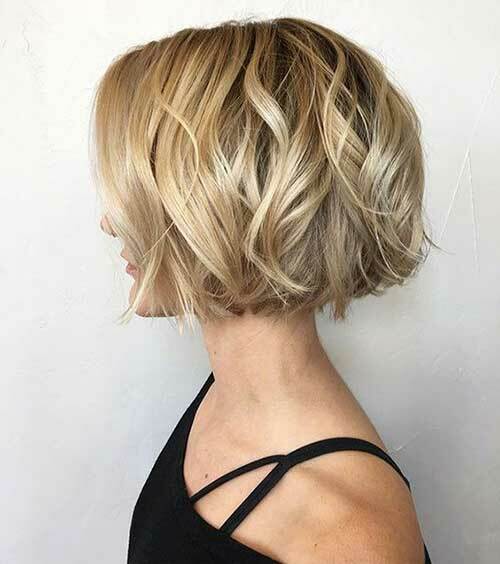 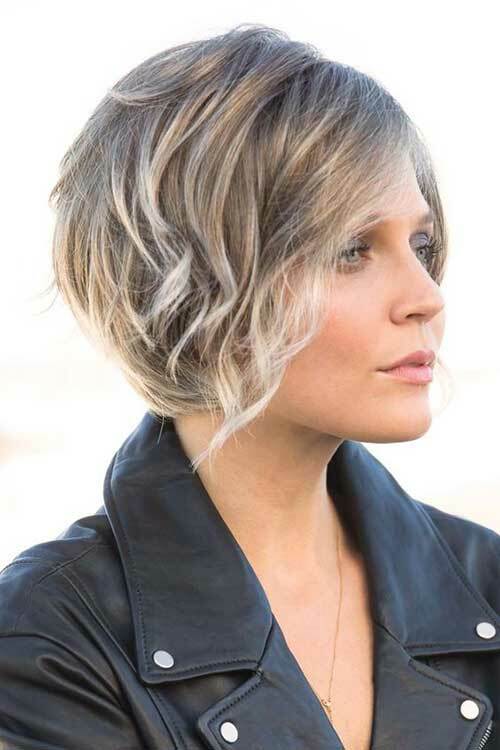 Thick hair owner ladies, we offer you a nice casual bob haircut. 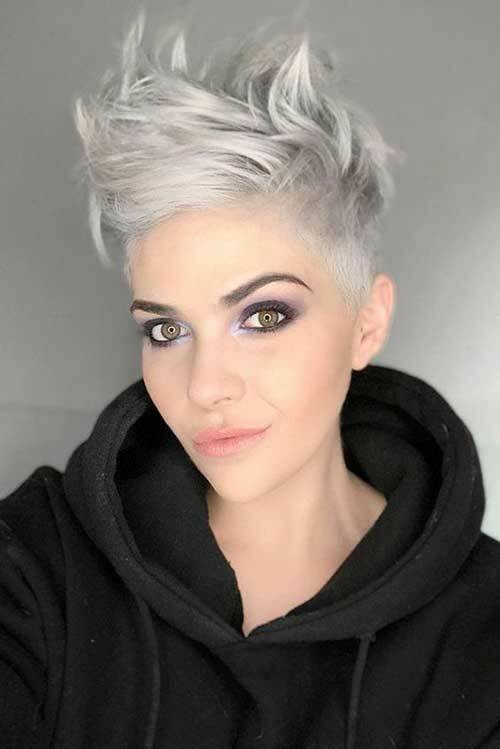 You can get a very stylish and cool look.